Remove the driver side rear wheel and inner wheel well liner. The liner is attached with 7MM screws. 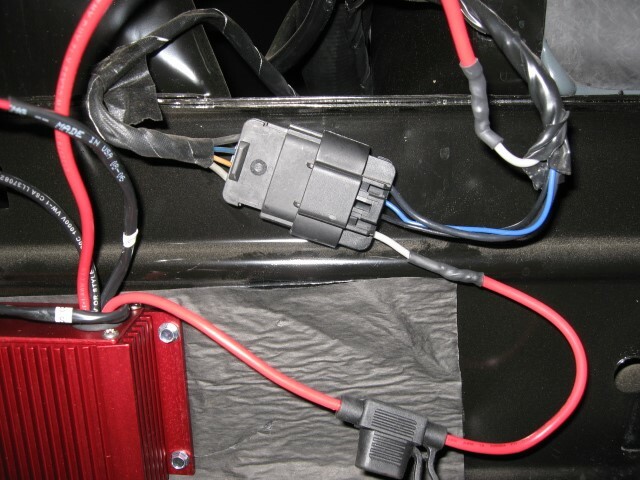 Some vehicles have 2 gray wires. One of these wires will turn hot for 3 to 5 seconds when the ignition is turned to the ON position. 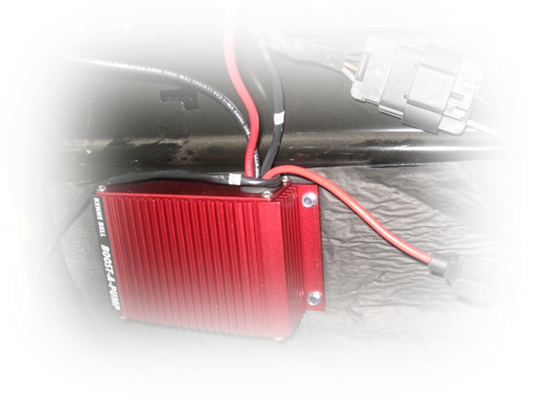 (vehicle not running) This is the wire to splice. The remaining wire harness on the BAP contains two wires. 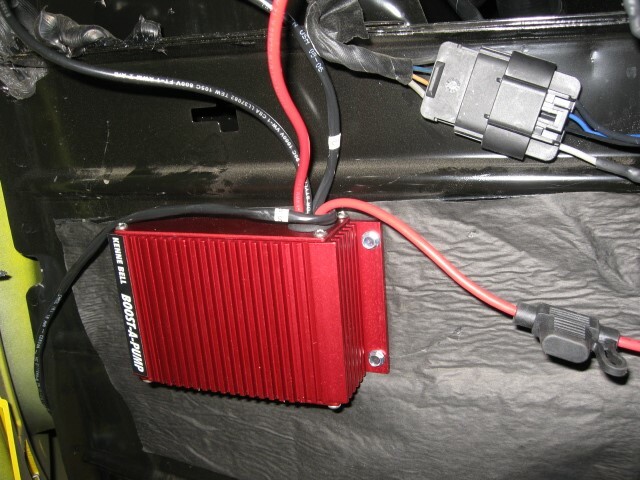 These wires will be attached to the boost switch and are fished through the rocker panel up to the front of the car. 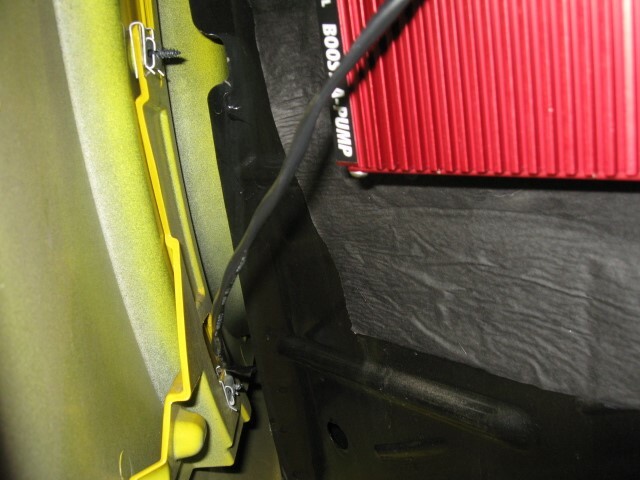 The easiest way is to remove the small access panel behind the front wheel, push a metal tape measure through the rocker panel until it comes out by the rear wheel. Tape the wires to the tape measure and pull it back and out through the front.